This topic has been moved to Celestial Navigation Course. Some upgrades to windows ends up blocking a file type called filename.chm These are perfectly safe files. We use them, just as Microsoft does themselves, for presenting short webpage modules. 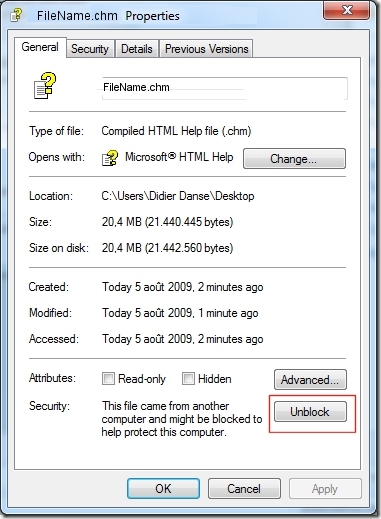 Several parts of your software product uses these files so we need to unblock them if this has taken place. We have seen this several times recently with Windows 7 systems, but it could be others as well. For Win 7, click Start button, then in the search window right above it type .chm Then it will find a couple of these. Choose anyone, right click it and then left click Properties. Go to the General tab as shown below and unblock the file. This will remove that button completely from this window, and you should be able to then open the files in the normal way from within the program.